I have this guilty pleasure of looking at metal rings. I've always wanted to learn how to do metal working, but never made any time! 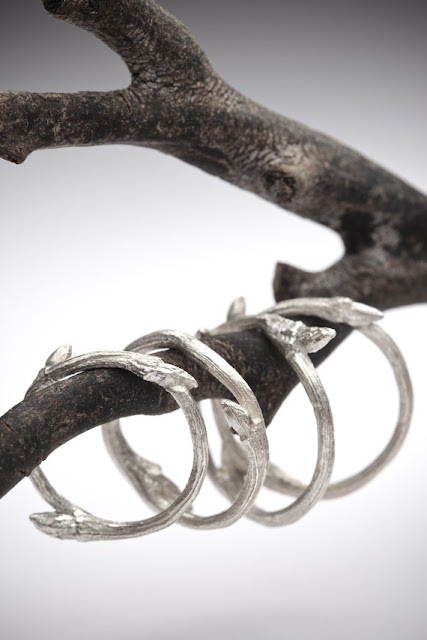 These pieces of dark jewelry by Joanna Szkiela are things I would imagine myself making. They're stunning and very magical. Come check it out! You could layer these elvish bands to make it look like it's wrapping all up your finger. These are simple yet very magical. When I saw these bands, I thought about the creepy scene with Galadriel and Frodo in Lord of the Rings. 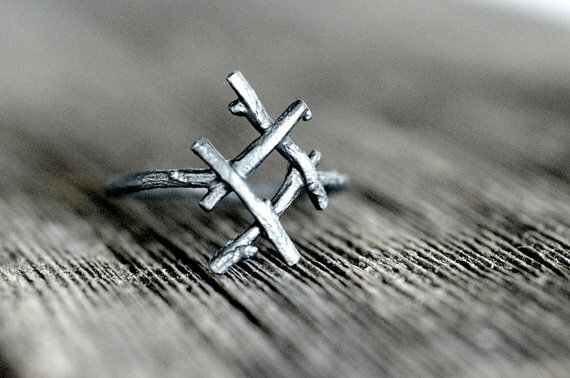 I am in love with this set of 6 rune rings. Each rune represents different magical aspects. Imagine if you had all the good fortune. 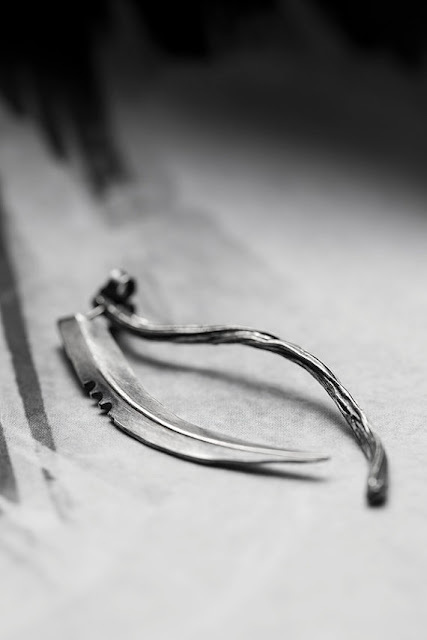 You could represent the bringer of death by wearing these scythe earrings. It's so eerie, but it's better to be the one holding the scythe, right? Do you find yourself looking over your shoulder or at least find that something evil is lurking about? 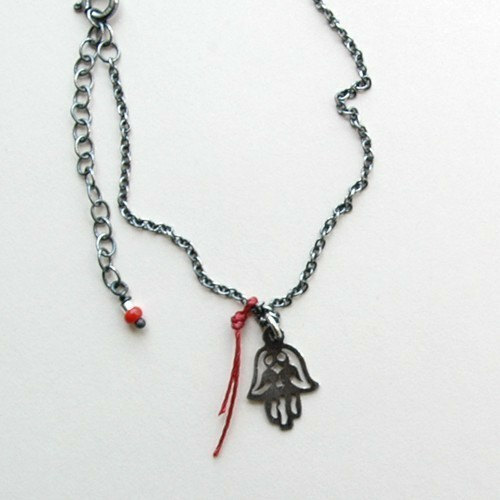 Protect yourself with this silver Hamsa necklace amulet. It's really stunning and totally unique. This is a wonderful engagement ring option. 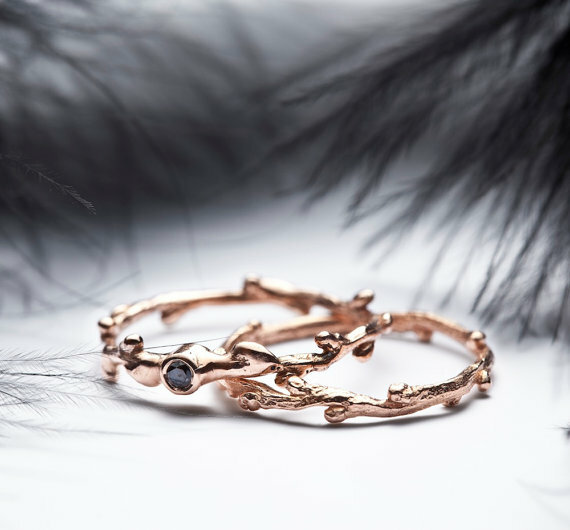 These black diamond 14k rose gold rings are whimsical and dark, perfect for you and yours. 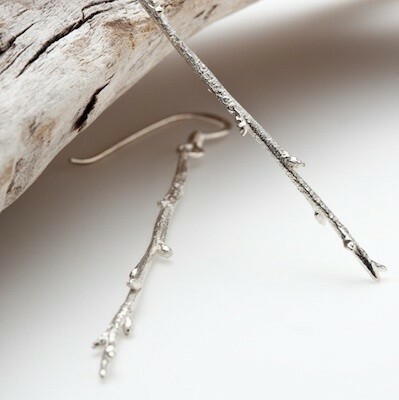 You would almost look as though you stuck twigs in your ears with these silver drop earrings. You could dress as an evil fairy among the forest. 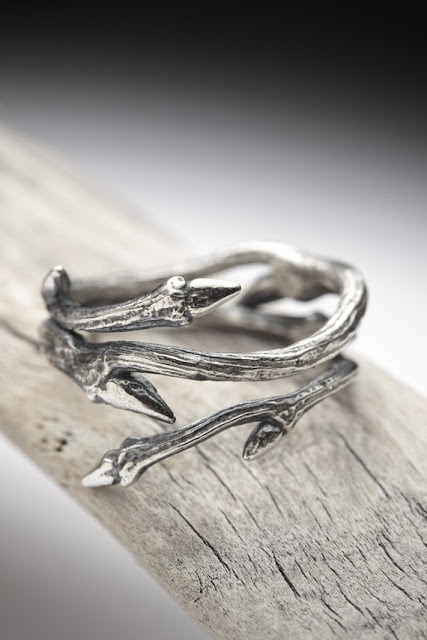 I love the oceanic style of these coral branch rings. If any of you are big sailors, these sinister rings are fantastic. Plus, they aren't too bulky! This Inguz rune ring represents true love, harmony, and fertility. It's supposed to help being these things to life. If you're looking for true love then perhaps this will be helpful to you. Instead of buying a bunch of little elvish rings you can have this stacked elvish ring. The jagged branches are really unsettling. 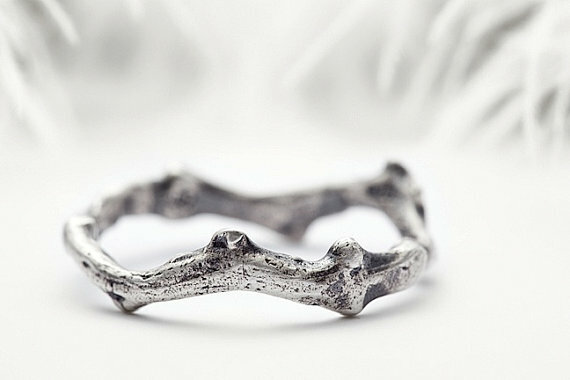 I'm really amazed by the intricate work of these beautifully dark jewelry from the Red Sofa shop. What do you think? I think these are great for even wedding band options too. Tell me your thoughts think below!